Ḥilazon Taḥtit Cave is located on the bank of Naḥal Ḥilazon in the western Galilee, some 14 km from the Mediterranean shoreline. The mouth of the cave faces east and is situated at the foot of a limestone cliff, c. 120 m above the stream. The dome-shaped cave was formed by karstic activity that dissolved the hard limestone of an eroded shelf of the Yanuch Formation of the Upper Cenomanian Age. The interior surface of the cave is c. 100 sq m, with no evidence of a front terrace. In June 1994, T. D. Berger and H. Khalaily conducted a surface collection on the colluvial slope immediately below the cave. The lithics contained Mousterian, Kebaran, and Natufian artifacts. 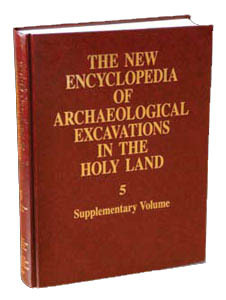 In 1995, under the co-direction of T. D. Berger (University of New Mexico) and L. Grosman (Hebrew University of Jerusalem), the first season was spent cleaning the detritus and historical deposits, as well as excavating several test trenches to locate the extent of the prehistoric sediments. Natufian artifacts were found in a trench under the ashy historical accumulations. Since then, L. Grosman has conducted three additional field seasons at the site (1997, 2000, and 2001).